May | 2006 | . In 1868 a day was set aside to pay tribute to those Union soldiers who had fallen in battle during the Civil War. It was called Decoration Day. 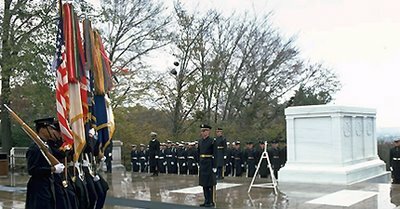 After WWI it expanded to a day to recognize all those who had died in the service of the United States. After WWII the name of the day was changed to Memorial Day. 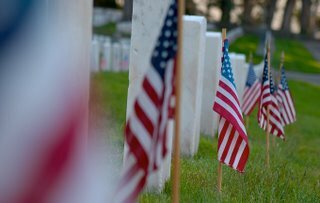 Somewhere between then and now, Memorial Day has become more of a time for department store sales and BBQ’s than for remembering those who have fallen at Antietam or Iwo Jima. For many it has become little more than a three-day weekend to mark the unofficial start of summer. Of course, there’s nothing wrong with spending the day off of work BBQ-ing, or going to the beach, or buying that new shirt you don’t need. Absolutely not. But before you take a bite of that hot dog, remember the Continental soldier at Valley Forge that had nothing to eat but soup made from rocks. Before you put on that sunscreen, remember the soldier shivering in his foxhole dug into the snow of Bastogne. Without men like these, three-day weekends may not even exists. Take the time today to remember those deployed around the globe in defense of our country. You can send them a message from here or here. The French have long been the target of American ridicule, even long before Jacques Chirac stiffed us on the Iraq war. There are myriad jokes and one-liners about France and it’s lack of, shall we say, battlefield fortitude. Here’s an example; Why are the streets of Paris lined with trees? The Germans like to walk in the shade. Or how about this one; Antique French rifle available on eBay. Never fired, only dropped once. These are fun, and deserved to some extent, but we should also remember that without the French the very idea of an independant American nation is very much in question. 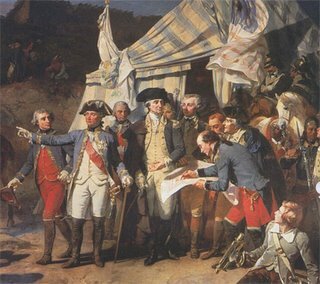 This post is actually a paper I wrote on French involvement in the Revolutionary War for a history class at Sonoma State University a couple of years ago. Enjoy. Why did France enter the American Revolution? 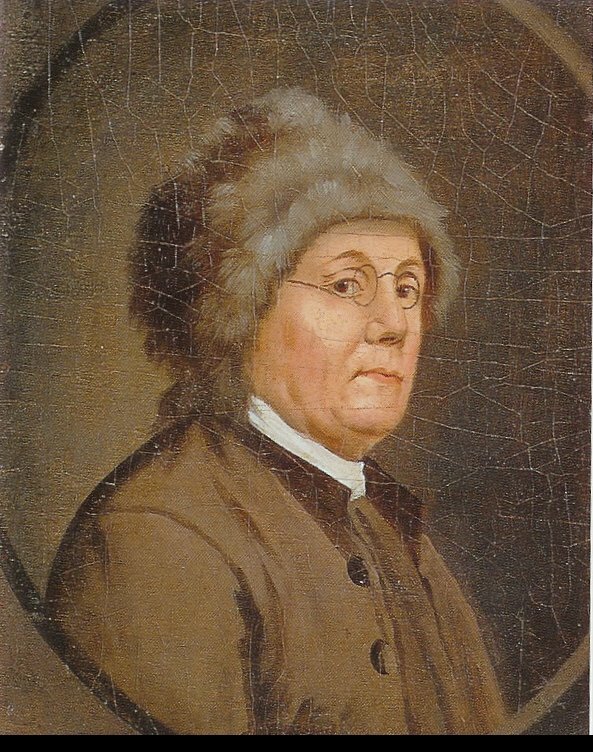 There were essentially three reasons for France’s involvement in the American Revolution: animosity toward England, the ideals of the Enlightenment, and Benjamin Franklin. France and England had been at odds for generations, going as far back as the Norman invasions of Anglo-Saxon England in the 11th century. After the Norman victory, complications arose out of the fact that the king of England was also the Duke of Norman, a vassal of the French king. The English monarchy became very strong and far more powerful than the French king who was supposed to be its ruler. Naturally this caused a great deal of friction. The problem came to a head in the 13th century when Philip II, the King of France, was finally able to seize Normandy from England. The next great conflagration between the two adversaries was the Hundred Years’ War (1337-1453). Sparked by England’s claim to Gascony, the Hundred Years’ War saw the English win many of the early battles, but they did not posses the resources in order to subdue all of France. Eventually, through the exploits of Joan of Arc, the French prevailed and the only English territory left on the continent was the coastal town of Calais. for Le Tourneur,” wrote indignant Voltaire. Certainly not all those who admired the “English institutions” were indisposed to seeing it lose it’s colonies, but it seems rather that they harbored a kind of envy and resentment for its success. Undoubtedly, France would make the most of any opportunity to weaken the British Empire and at the same time strengthen its own position on the world stage. Rivalry with England was unquestionably a large motivating factor, but the timing of the Revolution was particularly good for the colonies. The eighteenth century was a time when thought itself had undergone a revolution. The great writers of the Enlightenment had brought a new consciousness to the mind of the learned Frenchman. As James Breck Perkins stated, “It was the time, as has been said, when a man about to sup suddenly reflected that there were those who had not yet dined.” Leading the way was John Locke. His exposition of theories on natural law in economics and politics in his Second Treatise had a profound influence on not only the French, but on Americas founding fathers, especially Thomas Jefferson. Locke’s arguments gave legitimacy to the cause of democratic institutions and paved the way for other proponents of natural law in all areas of life. Adam Smith and his Wealth of Nations is still considered to be the definitive work on classic free enterprise economics. Many of these enlightened thinkers were indeed French. Known as the philpsophes they included Voltaire, Diderot, Montesquieu, and Rousseau. Their writings challenged the absolute authority of the monarchy, called for systems of checks and balances, and applied rational thought to everything from art to agriculture. To the common French peasant the goings on in the world of philosophy as it related to world affairs was of little concern. They were much more concerned with scraping together enough food to feed their families. But for the nobility and bourgeois these were the times when enlightened men united to right centuries of wrongs for the good of all humanity. These French saw the American Revolution as the embodiment of these ideals. the American side, the quicker the better. The American Revolution was an extraordinary event assisted by extraordinary circumstances and extraordinary people. Through an ages old rivalry, the birth of a new intellectual framework, and the uncommon guile of an aging diplomat, an alliance was forged that would change the face of the emerging modern world. Jackson J. Spielvogel Western Civilization (Third Edition, Volume I) (San Francisco: West Publishing Company, 1997) 324-325. Jackson J. Spielvogel Western Civilization (Third Edition, Volume I) (San Francisco: West Publishing Company, 1997) 330. 3 Jackson J. Spielvogel Western Civilization (Third Edition, Volume I) (San Francisco: West Publishing Company, 1997) 391. J.J. Jusserand Introduction James Breck Perkins France in the American Revolution (Boston: Houghton Mifflin Co., 1911) xii. James Breck Perkins France in the American Revolution (Boston: Houghton Mifflin Co., 1911) 210-211. Robert Middlekauf The Glorious Cause: The American Revolution, 1763-1789 (New York: Oxford University Press, 1982) 403. Thomas Fleming Liberty! The American Revolution (New York: Viking Penguin, 1997) 231. Thomas Fleming Liberty! The American Revolution (New York: Viking Penguin, 1997) 234. J.J. Jusserand Introduction James Breck Perkins France in the American Revolution (Boston: Houghton Mifflin Co., 1911) x.
You’re heard of the Halls of Medicine, now, welcome to the Halls of History. 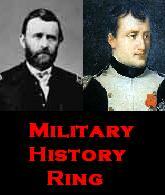 As any reader of my original blog, Life of Ando, would know, I love history. I would say that I’m a fan of history. I root for history. I also love to blog. And since J Crew and Kludge have multiple blogs, and since as the original blogger amongest my homeboys I can’t allow myself to be outdone, I thought I might as well combine the two pastimes. And because I’m a sick, sick individual. I plan on posting to this blog about once a week. The subject, obviously, will be history of all kinds. Three out of the four magazines I subscribe to are history focused (American Heritage, The History Channel Magazine, and World War II Magazine) and I often find odd or unusual or funny factoids that would be fun to share with my reader(s). So there’ll be some recycled posts I stole from more talented writers, but also my own original thoughts on various things historical. History is pretty dry to a lot of people, but I plan on taking a bit of a tongue-in-cheek approach, keeping things light and (hopefully) mildly amusing as well. Sometimes I’ll get serious, but usually not. At any rate, with any luck you’ll find something here that will occasionally make you grin and maybe you’ll even learn a little something. To start with I would direct you to another website, to someone who actually talks about history for a living. His name is Bob. He is a history professor at some community college that I can’t remember, and he podcasts everyday on various historical topics. The podcasts last for between 10 and 20 minutes. As history goes, the guy is amazing. If you like history you’ll enjoy listening to him.